About Boiler Bay on the Oregon Coast. 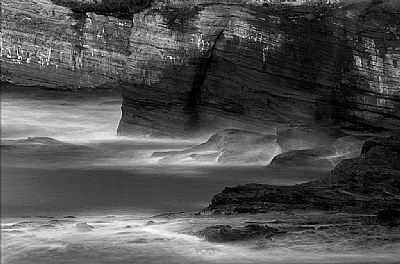 A wonderful dramatic monochrome image Shirley and well done in getting the award. Richly deserved. You certainly have an eye for the abstract You see pictures that most of us overlook. Well done!